With the help of AlterCam's virtual web camera, you can choose to broadcast from a variety of popular video sources while webcasting Live! Perfect for distance learning, group presentations or just plain fun; AlterCam's tricks your favorite webcast clients into thinking that its "fake webcam" is the real thing. You can share videos, photos, screenshots and more in real-time and all it takes to set-up is a few quick clicks! Unlike some popular fake webcam software, AlterCam is not banned on many services, so if you have troubles with the alternative fake webcam solutions, give a chance to AlterCam! If it is blocked or not visible in the list of the available cameras, just rename it as described in the bottom of the article! Present multimedia slideshows while you narrate; play pre-made videos while you webcast and more. Folks that don't even own webcams are having fun with AlterCam's fake webcam technology; now instead of displaying a generic user icon, or boring video of yourself trying not to look into the camera... you can share just about any media file that's pre-saved in video format. It's referred to as broadcasting because it happens in real-time. Users can take videos they made months ago, and play them during a conversation with a friend today! Taking advantage of the fake webcam's virtual media stream, users can show and tell using alternative video sources; delivering professional grade presentations. 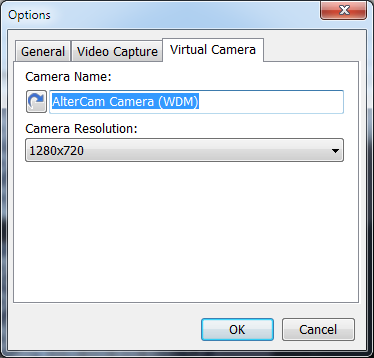 Fake webcam software (AlterCam Camera (WDM)) is no longer allowed due to misuse by some users. or in case you just not see your fake webcam in the list! 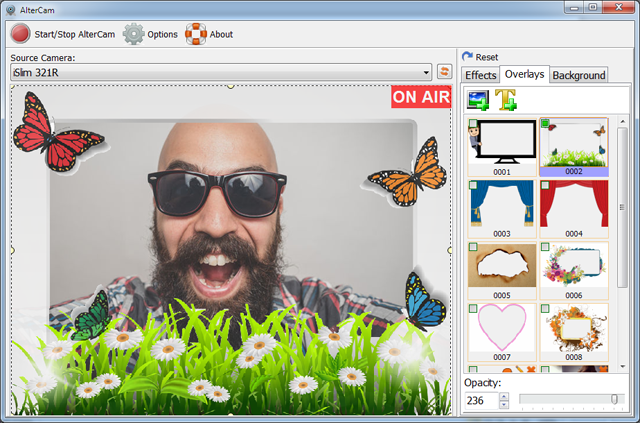 AlterCam works with just about every webcast client (Gtalk, MSN, Skype, Yahoo and more) and adds a layer of "cool" to an otherwise standard (and rather boring) toolset. Along with its fake webcam feature, AlterCam comes with dozens of other options that help you modify and transform your webcasting stream! Add both video and audio effects, customized backgrounds, designer overlays and so much more.